Haifa Port has moved from Micro Focus to COBOL-IT on HP ProLiant Server Blades with Oracle 11g database. Cobol-it > Micro Focus COBOL > Haifa Port has moved from Micro Focus to COBOL-IT on HP ProLiant Server Blades with Oracle 11g database. Haifa Port migrated its Shipping and Payroll applications from Micro Focus to COBOL-IT, while upgrading their operating system from HP/UX to Linux, and upgrading their Oracle database to Oracle 11g. The migration was completed in less than a year. Benefits included reduced costs and improved performance. Haifa Port is Israel’s largest and leading port. The port is located in a natural, protected bay and includes many facilities that allow for the shipping and transportation of all types of cargo as well as docking facilities for large passenger liners. 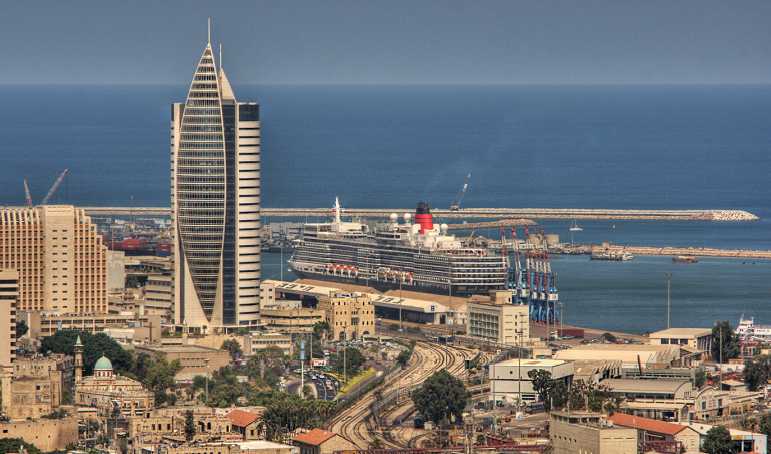 The port is operated by the Haifa Port Company, a Government owned company that is committed to operating as an engine for the advancement of Israel’s economy and growth as well as the source of income for the thousands of employees working at all levels of the port’s activities. The Haifa Port Software application handles the shipping and transportation of the wide range of cargo that enters and leaves the port. At the same time, it provides the back office applications required to manage the payroll for the thousand of employees of the port. The COBOL application portfolio interoperates with an Oracle 11g database. The COBOL application portfolio is maintained by a team of in-house software programmers. After Haifa Port made the strategic decision to re-host their application on Linux, with upgrades to their Database systems, they inquired about the cost of continuing to use Micro Focus COBOL. Micro Focus required that new software licenses be purchased, with the result being an unsustainable hike in price. Haifa Port evaluated COBOL-IT as an alternative COBOL, and it met both their technical and commercial requirements. Haifa Port validated that they could preserve 100% of their application’s functionality, and did not ever consider any other alternatives. The migration was completed in a year. Extensive performance tests were performed. In all cases, Haifa Port verified that running COBOL-IT on the new Linux servers provided superior performance to the Micro Focus COBOL running on their HP-UX servers. Haifa Port split the migration into several parts, which were tested and moved into Production separately. Running parallel tests in Production, they were able to validate that behaviors were identical using Micro Focus and COBOL-IT. They were also able to directly compare the performance of the two systems, and in this manner to measure the improved performance on the Linux servers using COBOL-IT. Modernize COBOL application, and cut costs.user experience. Move from Micro Focus running on HP-UX to COBOL-IT running on Linux Cost-savings both at the platform level, and for the COBOL application portfolio.